Someone is already thinking about 2015, it seems, as renders of the Samsung Galaxy Note 5 have appeared online and they don’t exactly look bad. 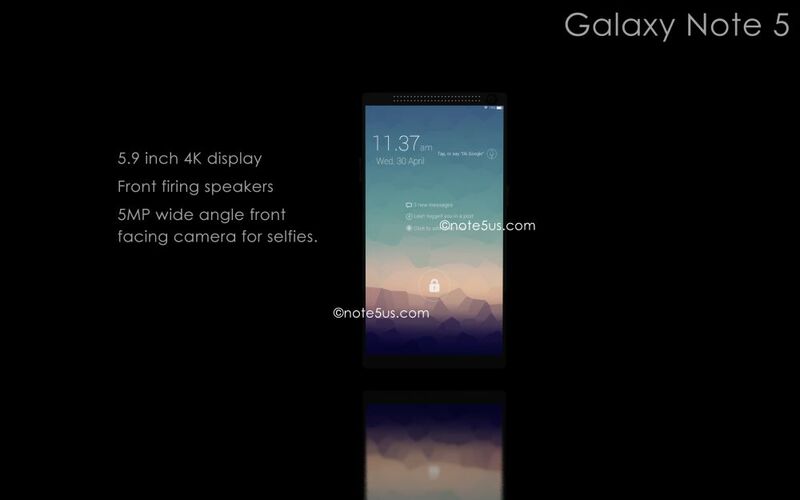 This device is a 5.9 inch phablet, one that sports a Super AMOLED screen panel and a 4K resolution. The concept Galaxy Note 5 has 4 GB of RAM and 3 versions of storage: 16 GB, 32 GB and 64 GB. 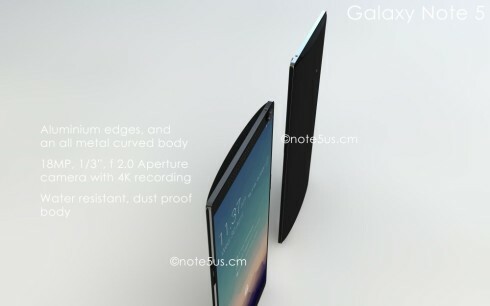 The design involves aluminum finished edges with an all metal curved body. This model will be dust and water resistant, plus scratch resistant as well. It will run the latest Android available, possibly on that starts with the letter M, maybe Milkshake? The camera at the back is an 18 megapixel unit with 1/3 inch sensor and F/2.0 aperture. 4K recording is also available and this phablet has an all metal curved body. Speakers are placed at the front and so is a 5 megapixel wide angle camera for selfies. 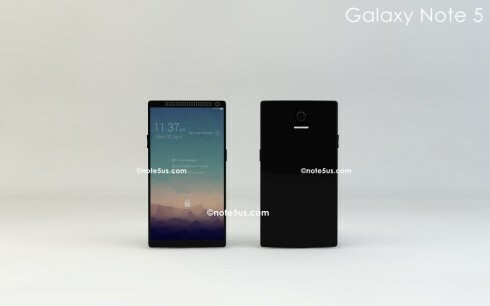 With a bezel so small and a curved body made of metal, what can people complain about this time when it comes to the Galaxy Note 5 design?